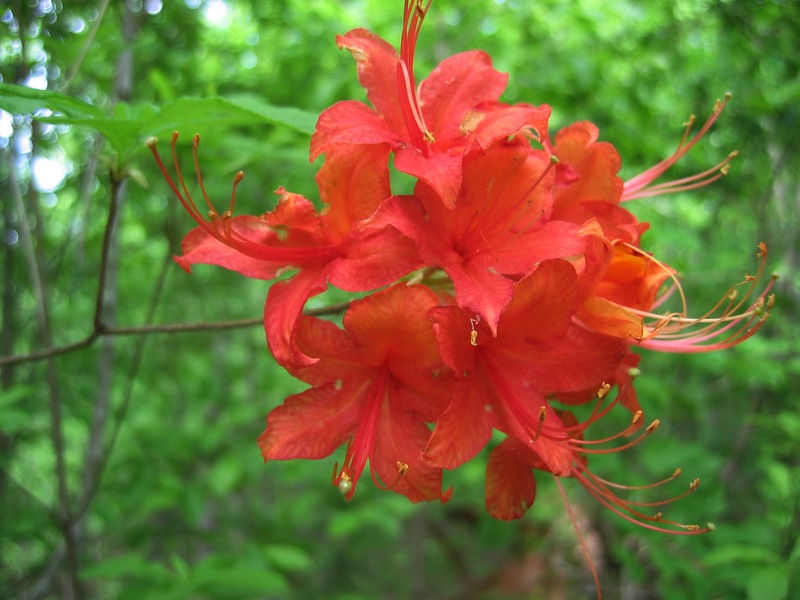 White, coral, orange and red varieties of this native azalea are found throughout the forest. The red variety (Rhododendron Flammeum) is more typically seen in north Georgia and is very rare, perhaps unique, to our area. Red examples can frequently be seen in the early spring along any of the trails; however, there are several larger colonies in the area where the trail runs closest to the pond. 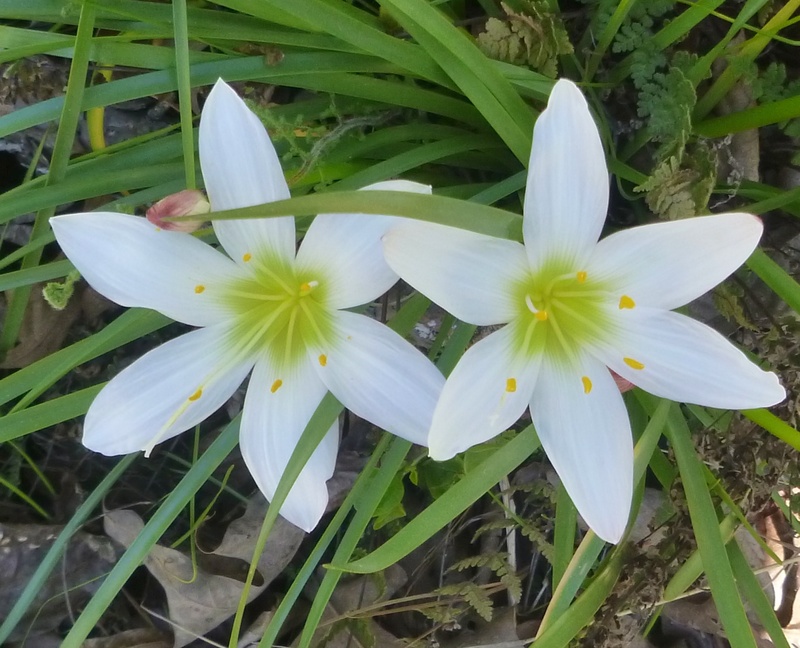 The Atamasco Lily is also know as the Rain Lily or Easter Lily. You will find it blooming in early spring along the lower creek areas often growing out of cracks in the granite outcroppings. The connector trail leading from the trail head is a good place to look for them along the wet weather creek. 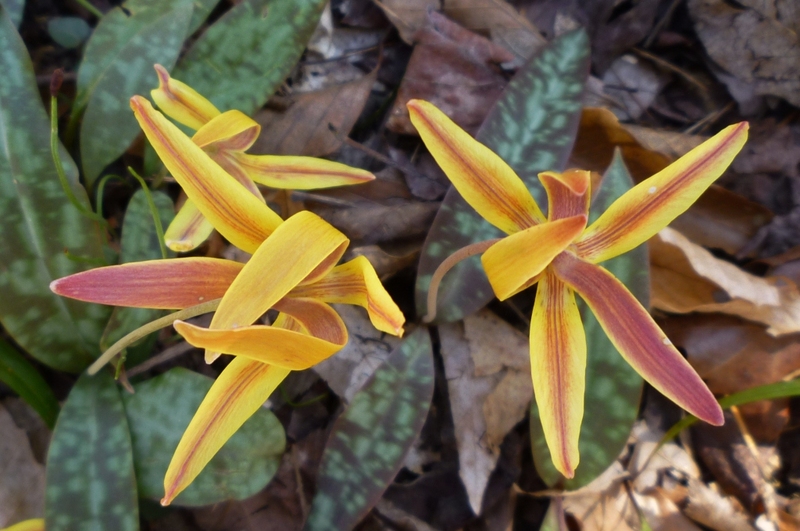 Trout Lilies bloom in the very early spring and quickly die off as the trees develop a canopy of leaves. The petals are usually bent as shown. Native Americans and early settlers drank a root tea and used leaf poultices for medicinal purposes. They are found on gentle slopes near the creek bottoms and a good place to look for them is anywhere along the creek banks. They are very common near the bridge below the trail's rocky switchbacks. Verbena is one the most widely distributed wildflowers in America. 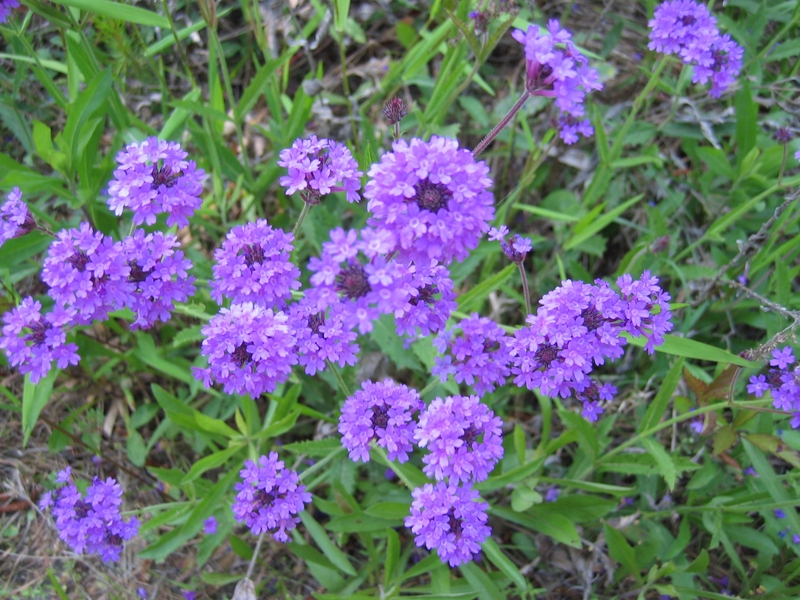 There are about 250 species of Verbena and few are native to Georgia. Native specimens have reportedly been collected near the Oconee River. Both Native Americans and settlers drank a tea made from the leaves to treat various ailments. They will be found blooming from spring through summer in the fields surrounding the forest and on the power line break. 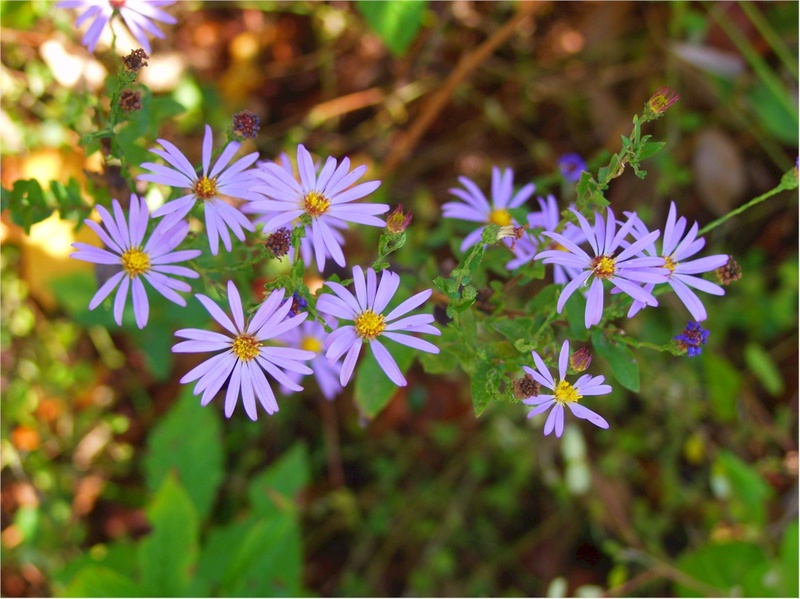 ​This aster blooms in late summer to early fall and is found in the fields around the forest and along the power line break. 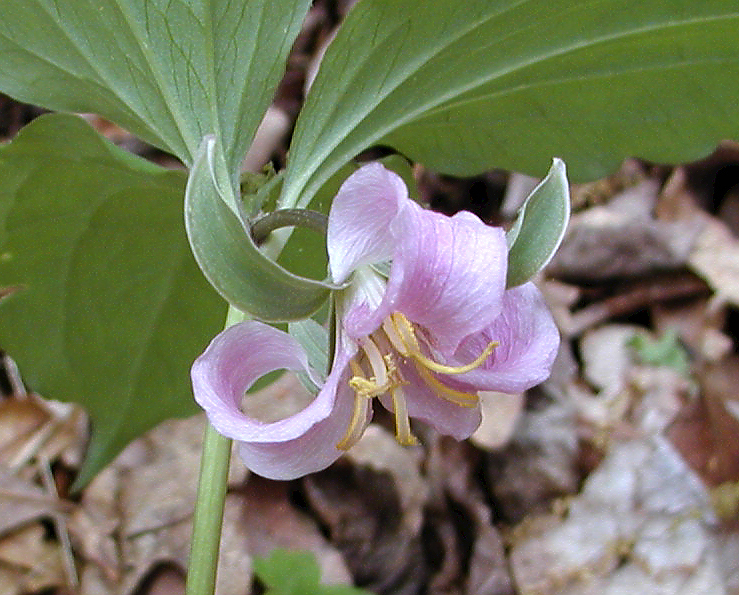 Catesby’s Trillium is uncommon here and is found on well drained hardwood slopes near the creeks. It blooms during late March through June; however, the blooms are beneath its leaves and are often hard to spot. Gentian can be seen along the creek banks near the waterline during the fall months. The medicinal values of gentian were first noted around 500 b.c. It is named for Gentius, king of Illyria. 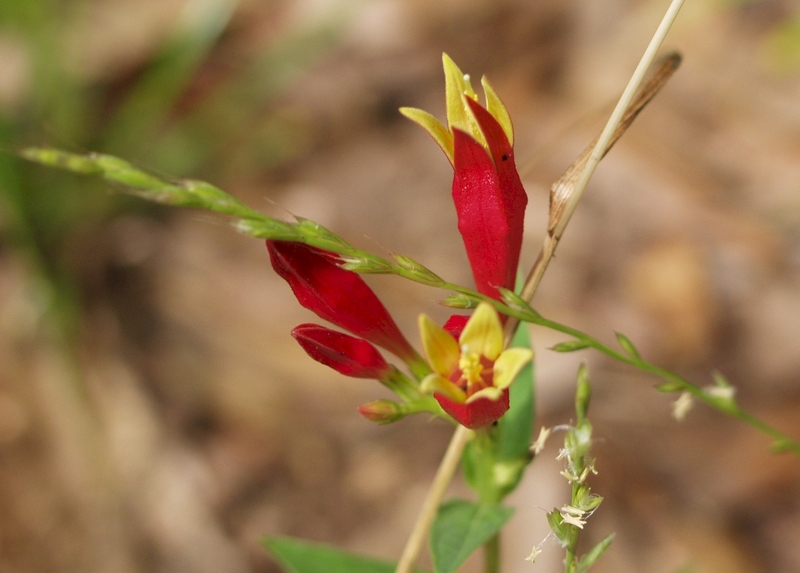 One of the prettiest southeastern wildflowers Indian Pink can occasionally be seen on the hardwood slopes. It blooms from March through June. 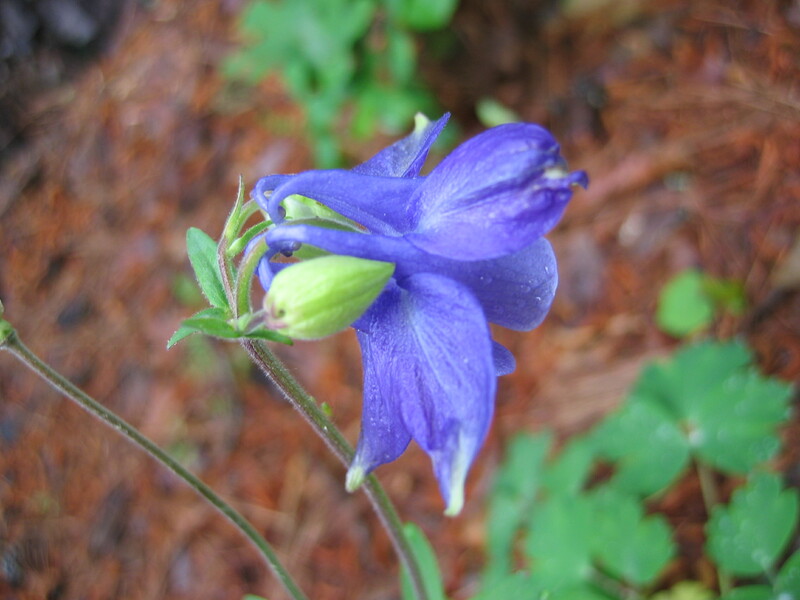 Although it contains a poisonous alkaloid it was once used medicinally by Native Americans and early physicians. It is more common further up the Piedmont and in the mountains.